Just a few more weeks until Christmas and another fast-approaching days until the beginning of December. This year I find our family and work holiday gatherings are starting earlier in the year. Recently, my friend Annie was helping our work social committee with researching gift ideas for families and their kids for our upcoming Christmas brunch. Inspired by her research, here are holiday advent calendar ideas to count down to the day of Christmas. Open a door each day and reveal a new mini Paw Patrol figure for 24 days. 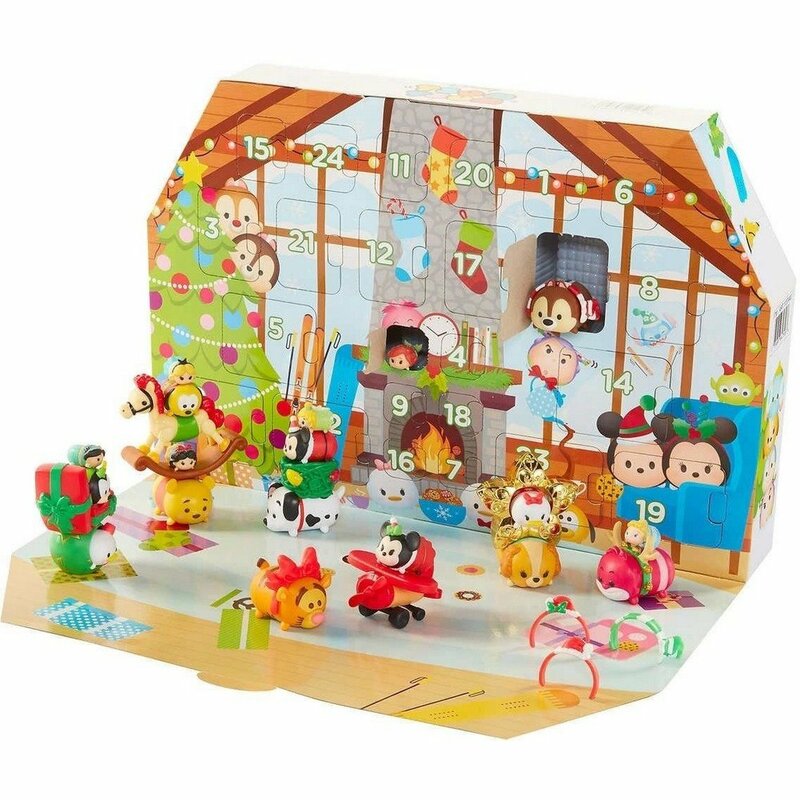 This year’s edition has 2 headbands, 5 stackable accessories, 5 small figures, 6 medium figures and 6 large figures as party of this super-cute Disney Tsum Tsum calendar. 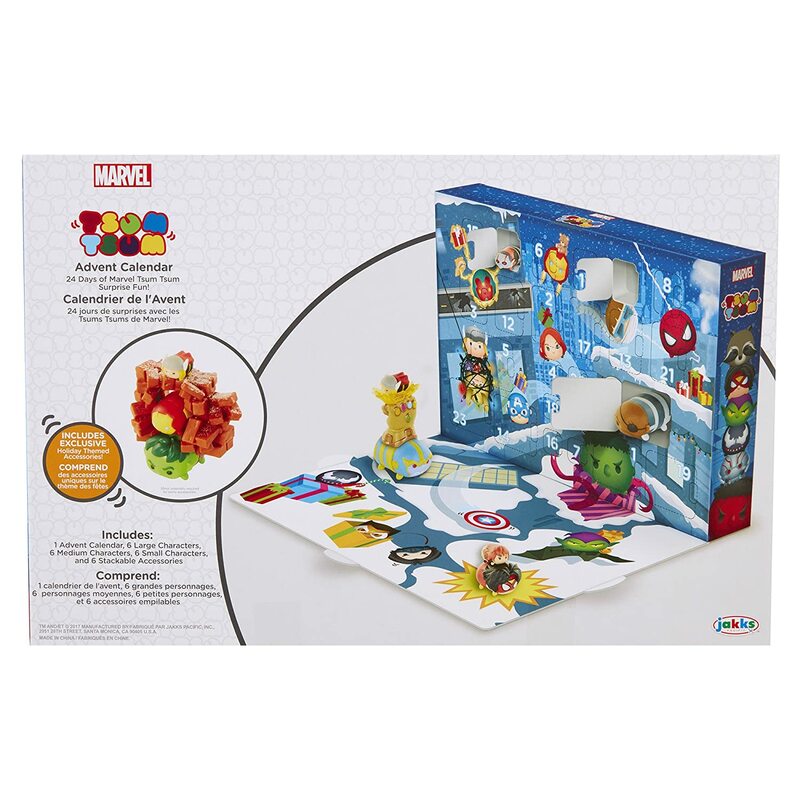 Reveal 24 holiday and Tsum Tsum Marvel themed characters in this adorable advent calendar. Do you want to build a snowman? 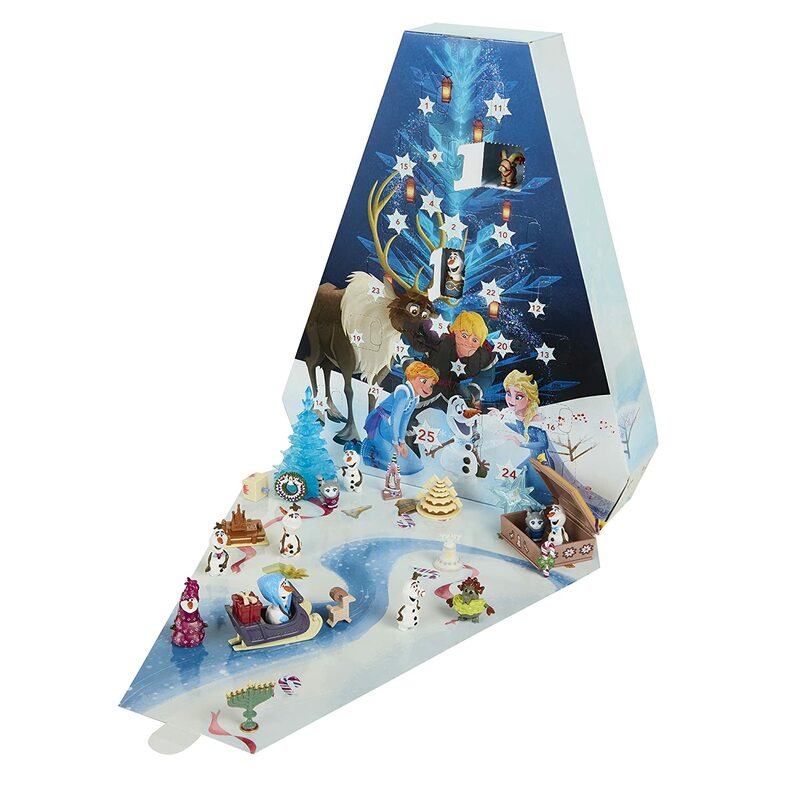 Or reveal all the cutest little Olaf snowmen figures in this tree-shaped advent calendar? 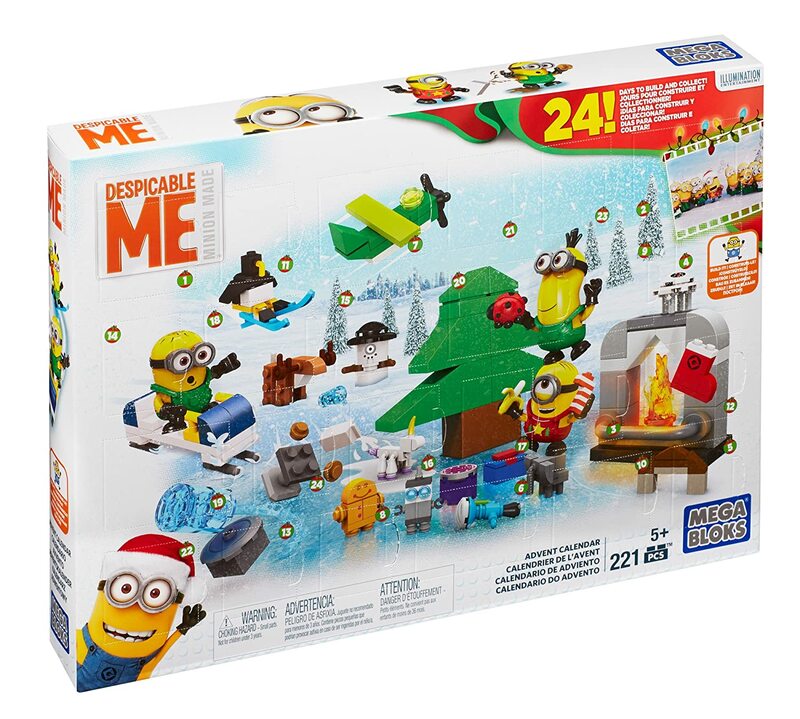 You may need to add more bananas to this Minion-themed advent calendar. 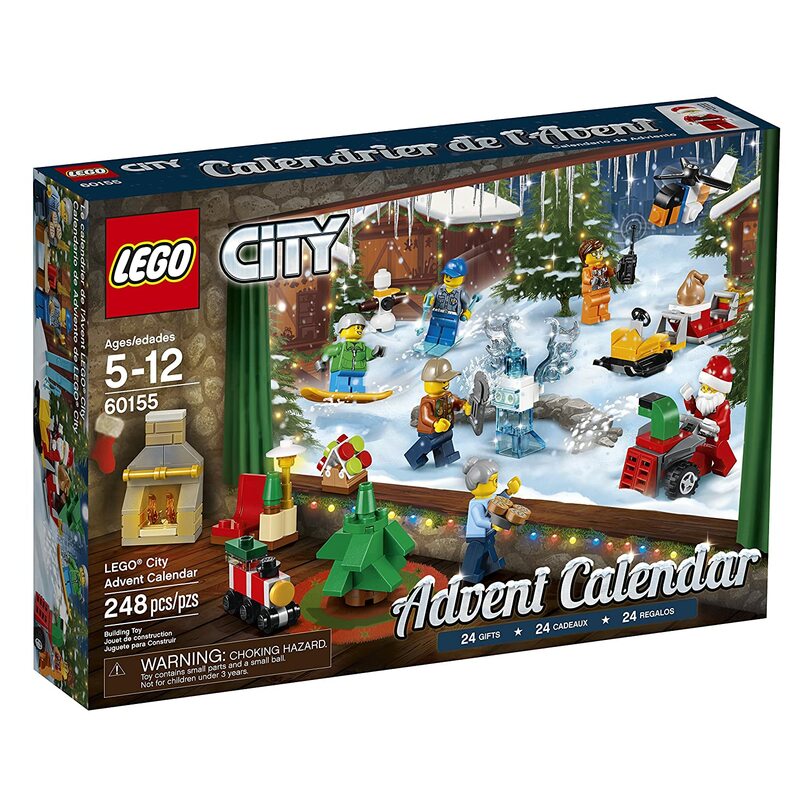 Every holiday, LEGO releases many of their building kits in a variety of holiday-themed advent calendars. This City-themed features seasonal figures like Santa and other snow-loving accessories. Mattel also has a variety of themed Barbie advent calendars. This calendar features a Barbie doll with doors opening up accessories to dress her as a ballerina, baker, ice skater, pet doctor and a skier. 23 compartments reveal fashions and accessories for Barbie doll — the 24th holds a pair of hairclips for girls! This folds out to become a stand-up display featuring daily colouring activities. 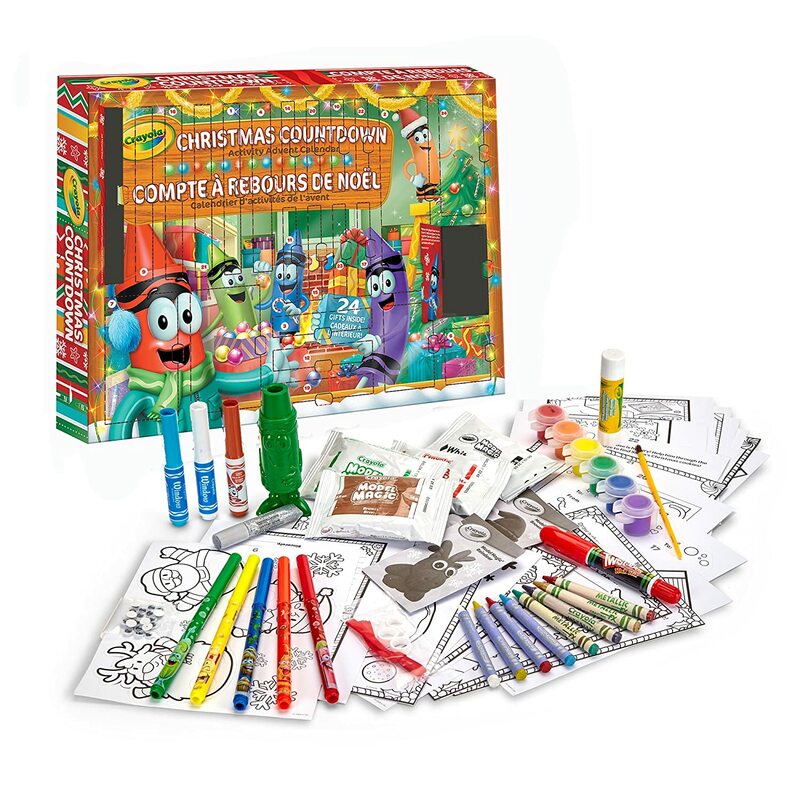 Celebrate the holidays with 24 daily activities to keep in the holiday spirit with various Crayola tools inside. 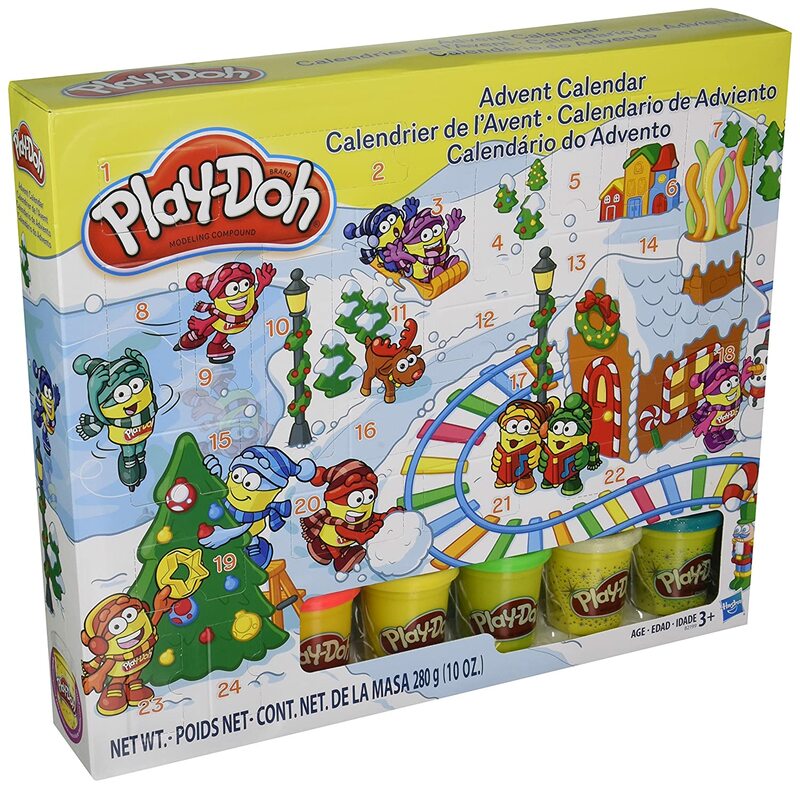 There are 5 cans of Play-Doh, along with 24 doors that hide a different accessory to explore with until Christmas. Behind the door of December 1st, recipients start off with a base bracelet. Behind each door per day, there will be a new bracelet charm revealed to add onto the holiday advent bracelet. Behind these doors, you can find earrings or necklace charms revealed up to Christmas Day. What kind of advent calendar will you be counting down with this year?